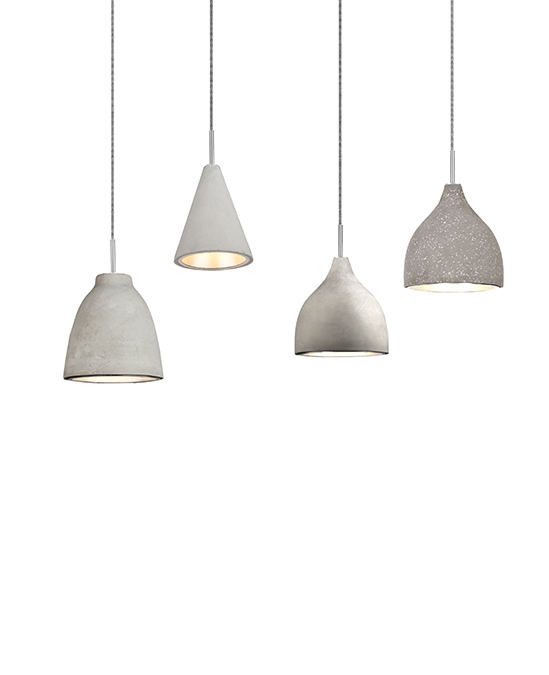 Trio pendants are all cone shaped but which the concrete body tapers out from the silver metal top. The combination of materials and simple shape of the lights result in contemporary and lively effects . 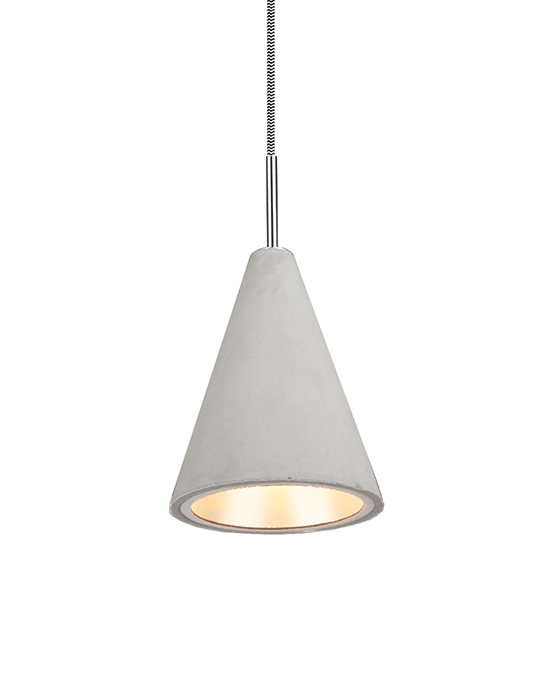 The lights can be hung in singles or in multiples, creating a strong visual focus.